The Society Islands (French : Îles de la Société or officially Archipel de la Société; Tahitian : Tōtaiete mā) are an archipelago located in the South Pacific Ocean. Politically, they are part of French Polynesia, an overseas collectivity of France. Geographically, they form part of Polynesia. Tahitian is a Polynesian language, spoken mainly on the Society Islands in French Polynesia. It belongs to the Eastern Polynesian group. Huahine is an island located among the Society Islands, in French Polynesia, an overseas territory of France in the Pacific Ocean. It is part of the Leeward Islands group (Îles sous le Vent). At the 2017 census it had a population of 6,075. Bora Bora is a 30.55 km2 (12 sq mi) island group in the Leeward group in the western part of the Society Islands of French Polynesia, an overseas collectivity of France in the Pacific Ocean. The main island, located about 230 kilometres northwest of Papeete, is surrounded by a lagoon and a barrier reef. In the center of the island are the remnants of an extinct volcano rising to two peaks, Mount Pahia and Mount Otemanu, the highest point at 727 metres. 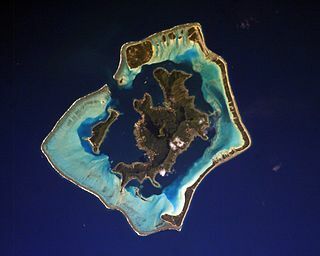 It is part of the commune of Bora-Bora, which also includes the atoll of Tūpai. The Windward Islands are the eastern group of the Society Islands in French Polynesia, an overseas collectivity of France in the southern Pacific Ocean. These islands were originally named the Georgian Islands in honor of King George III of the United Kingdom. Meheti'a or Me'eti'a is a volcanic island in the Windward Islands, in the east of the Society Islands in French Polynesia. This island is a very young active stratovolcano 110 kilometres (68 mi) east of the Taiarapu Peninsula of Tahiti. It belongs to the Teahiti'a-Mehetia hotspot. Teti'aroa is an atoll in the Windward group of the Society Islands of French Polynesia, an overseas territorial collectivity of France in the Pacific Ocean. Once the vacation spot for Tahitian royalty, the islets are under a 99-year lease contracted by Marlon Brando. The islands became a French protectorate in 1843 and a colony in 1880. They have a population of 235,295 inhabitants (as of 2012 [update] ). They cover a land area of 1,590 square kilometres (610 sq mi). Mo'orea is a high island in French Polynesia, one of the Windward Islands, part of the Society Islands, 17 kilometres (11 mi) northwest of Tahiti. The true spelling of Mo'orea is Mo'ore'a, meaning "yellow lizard" in Tahitian: Mo'o = lizard ; Re'a = yellow. An older name for the island is 'Aimeho, sometimes spelled 'Aimeo or 'Eimeo. Early Western colonists and voyagers also referred to Mo'orea as York Island. Tupaia was a Tahitian Polynesian navigator and arioi, originally from the island of Ra'iatea in the Pacific Islands group known to Europeans as the Society Islands. 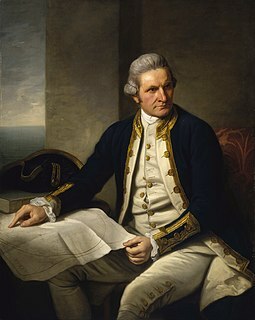 His remarkable navigational skills and Pacific geographical knowledge were to be utilised by Lt. James Cook, R.N. when he took him aboard HMS Endeavour as guide on its voyage of exploration to Terra Australis Incognita. Tupaia travelled with Cook to New Zealand, acting as the expedition's interpreter to the Polynesian Māori, and Australia. He died in December 1770 from a shipborne illness contracted when Endeavour was docked in Batavia for repairs ahead of its return journey to England. Hao, or Haorangi, is a large coral atoll in the central part of the Tuamotu Archipelago. It has c. 1000 people living on 35 km². It was used to house the military support base for the nuclear tests on Mururoa. Because of its shape, French explorer Louis Antoine de Bougainville named it "Île de la Harpe". The Leeward Islands are the western part of the Society Islands in French Polynesia, an overseas collectivity of France in the South Pacific. They lie south of the Line Islands, east of the Cooks and north of the Austral Islands. Their area is 395 km² with a population of over 33,000. The islands to the west comprise a three atoll group: Manuae, Motu One atoll, lying most northerly of the Leeward Islands, and to the southeast Maupihaa atoll. More to the east lies a mainly high island cluster consisting of Maupiti, Tupai atoll, Bora Bora, the most known of the Leeward Islands in the western world due to its World War II United States naval base and subsequent tourism industry, Tahaa, lying just north of the largest island of the group, Raiatea which possesses the largest city and local capital of the Leeward Islands, namely Uturoa, as well as the highest elevation, the just over 1,000 m mount Tefatua, and finally the easternmost island of the group, Huahine which at high tide is divided into two: Huahine Nui to the north and Huahine Iti to the south. Uturoa is a commune of French Polynesia, which is an overseas territory of France in the Pacific Ocean. Uturoa is located on Raiatea, the largest island of the Îles Sous le Vent, located in the western region of the Society Islands. Uturoa is the administrative center of the administrative subdivision of the Leeward Islands and is the main port of Raiatea. According to the 2017 census, Uturoa had a population of 3,736. 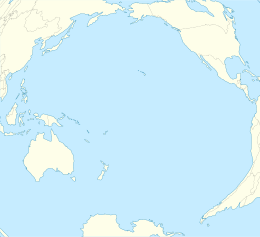 Uturoa is about 120 miles northwest of Papeete, which is the capital of French Polynesia. This page list topics related to French Polynesia. The Arioi or Areoi were a secret religious order of the Society Islands, particularly the island of Tahiti, with a hierarchical structure, esoteric salvation doctrine and cultish and cultural functions. They included both men and women of all social strata, though men predominated. The Arioi principally venerated the war god 'Oro, whom they considered the founder of their order. 'Oro is a god of the Polynesian pantheon. The veneration of Oro, although practiced in varying intensity among the islands, was a major cult of the Society Islands in the 17th and 18th centuries, especially Tahiti. Tahaa, Moorea, and Raiatea. On Tahiti 'Oro was the main deity and the god of war. The secret society of Arioi was closely linked because of its rites. On the Marquesas Islands, 'Oro bore the name Mahui. The Kingdom of Tahiti was founded by paramount chief Pōmare I, who, with the aid of English missionaries and traders, and European weaponry, unified the islands of Tahiti, Moʻorea, Tetiaroa, Mehetia and at its peak included the Tuamotus, Tubuai, Raivavae and other islands of eastern Polynesia. Their leaders were Christian following the baptism of Pomare II. Their progressive rise and recognition by Europeans allowed Tahiti to remain free from a planned Spanish colonization as well as English and earlier French claims to the islands. The Kingdom was one of a number of independent Polynesian states in Oceania, alongside Raiatea, Huahine, Bora Bora, Hawaii, Samoa, Tonga, Rarotonga and Niue in the 19th century. They are known for bringing a period of peace and cultural and economic prosperity to the islands over the reign of the five Tahitian monarchs. The Kingdom of Bora Bora was established during the early 19th century with the unification of the island of Bora Bora and official recognition by France and the United Kingdom in 1847 through the Jarnac Convention. It was one of a number of independent Polynesian states in the Society Islands, alongside Tahiti, Huahine and Raiatea in the 19th century, which all shared a similar language and culture and whose rulers were interrelated by marriage. Besides Bora Bora, the Kingdom encompassed the islands of Tupai, Maupiti, Maupihaa, Motu One, and Manuae. The Kingdom was finally annexed to France in 1888 and its last queen Teriimaevarua III was forced to abdicate in 1895. Matavai Bay is a bay on the north coast of Tahiti, the largest island in the Windward group of French Polynesia. It is in the commune of Mahina, approximately 8 km east of the capital Pape'ete. The term South Seas or South Sea commonly refers to the South Pacific. Geographically, all areas to the south of Panama's degree of latitude belong to the South Sea. 1 2 "Population". Institut de la statistique de la Polynésie française (in French). Retrieved 11 January 2015.